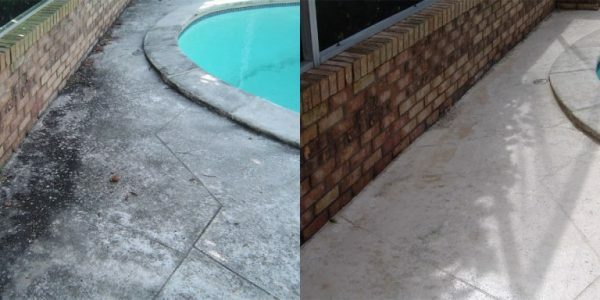 We offer a wide-variety of pressure washing and non pressure cleaning services. 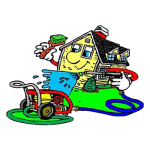 Our most sought after services are tile roof cleaning and driveway pressure washing, sometimes referred to as power washing. 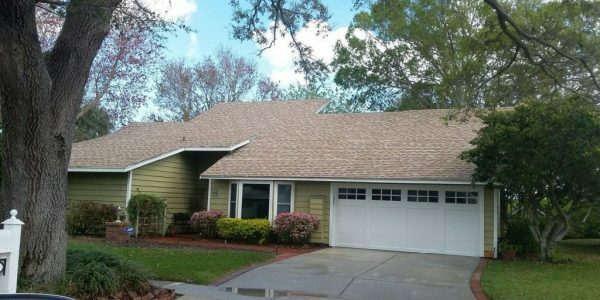 We also specialize in shingle roof washing with a safe non pressure cleaning technique that will ensure your roof is cleaned the right way the first time. These are just a few examples of the many cleaning and washing services that we offer. 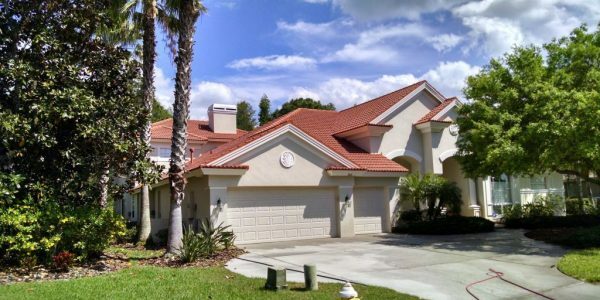 In fact, all of our cleaning services are specifically designed and have been refined over our twenty plus years of experience to improve the beauty, value, and curb appeal of your home or business. Your property will not only look better but our services will also provide a healthier environment by removing unsightly mold, mildew, and stains. Most clients don’t realize that their roof, driveway, or moldy fence can be restored to looking almost as good as it did when brand new. 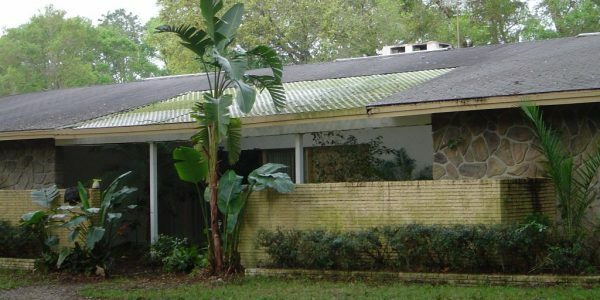 The responses and reactions we get when completing most jobs is of utter amazement, because people can’t believe that their property can be restored to look new again. Whatever the case might be, we are confident that we will be able to restore the beauty of your home or business in a professional, expert, and cost-effective manner. All of our cleaning services are conducted with the utmost professionalism. Below you will find a list of our services for further review. Click on each section to learn more about each service that we offer. Our experience will not let you down! 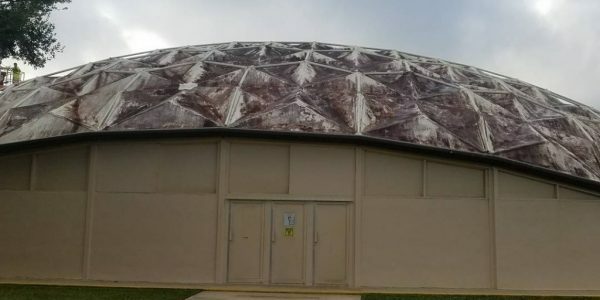 Roofing tiles that have not been cleaned and that have turned your tiles black with mold can actually rob you of your homes ability to cool properly by retaining heat rather than reflecting it, ultimately causing your cooling system to be over worked and sending utility bills soaring. Black moldy shingles can not only cause roof damage over time, but they can also retain heat rather than reflect it. All Surface Pressure Cleaning uses a non damaging soft wash solution which is ARMA approved allowing us to kill mold and fungi on shingle roofs, making them look great. 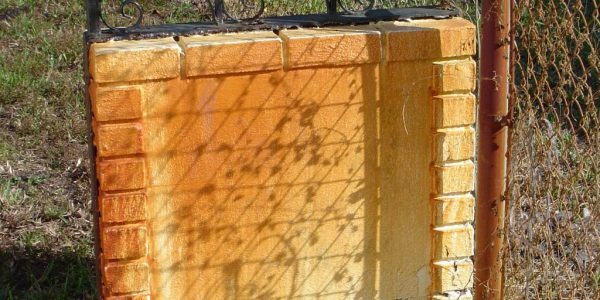 Whether your homes exterior is wood, metal, vinyl, block, or stucco finished it needs to be sanitized and washed on a regular basis. Neglecting to wash your homes exterior can become not only costly and unsightly but unhealthy as well. Many folks enjoy gathering around the family pool all year round here in Florida. It’s the perfect place to entertain, have barbecues, or to just cool off on a humid day. Pool decks, especially those that are enclosed, create a perfect environment for mold, algae, and more to grow and spread. Store fronts, Office Buildings, Hotels, Restaurants, Resorts, Apartment Complexes, Service Stations, and Parking Garages are just a few of the types of commercial applications we provide services for. Many of the above mentioned are required by law to keep their businesses clean for safety and health reasons. 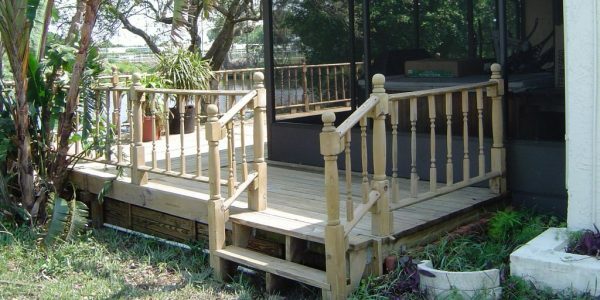 Are you thinking about cleaning, staining, or painting your wood/composite deck or vinyl fence? Does it look grayish, green, weathered, or so moldy that you feel you may have to replace it? Don’t! We can bring it back to life and save you hundreds and even thousands of dollars that it would cost you to replace it. 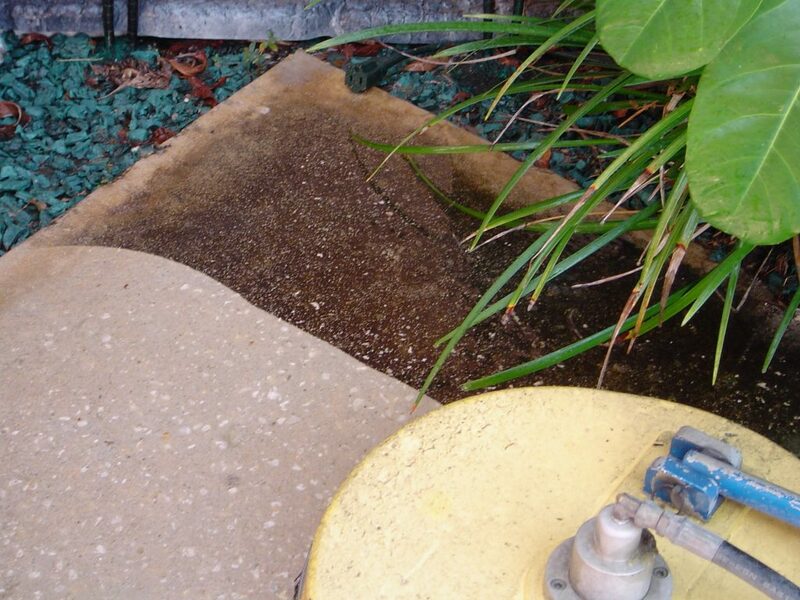 These stains are typically caused by well water being used for sprinkler systems. They appear on your homes exterior walls, driveways, sidewalks, and other items around your home. Most people found that these stains are difficult to remove. We have the solution, call us today for a free estimate! 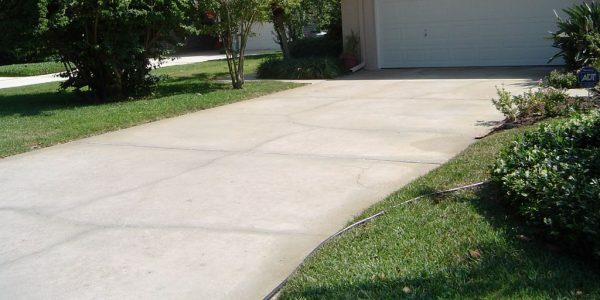 After time, concrete walkways, driveways, sidewalks, and pavers begin to lose their bright appearance and start to look dingy, gray and black. Most people believe that this is the cause of a build up of dirt, stains, or just plain aging. If you’re one of these people, then you’ll be happy to hear that you’re not entirely wrong.